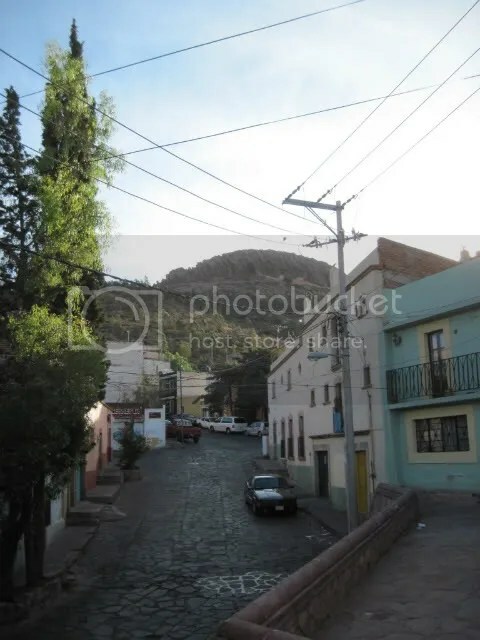 Posted on August 26, 2011, in Haiku Heights, Haiku My Heart, hillside, Himmelsk, lullaby, Mexico, Monday Poetry Train Revisited, my digital photos, my senryu, rooftops, senryu, Sensational Haiku Wednesday, Sky Watch Friday, Zacatecas. Bookmark the permalink. 16 Comments. Looks like a quiet town and resembles our own smaller towns here. The surrounding hill side and the cobbled street makes the place very picturesque!! A nice picture.. perfect for your haiku. Thanks for the poem you left at my skywatch post. Much appreciated, you made my day. I like “the streets old bones” line. Thanks for the poem you left at my post. a very quiet street. don’t find such places here 🙂 good photograph..
“breathing little lullabies” – I love that! Wonderful Haiku and photo. A novel use of the prompt. The streets are alive. Great work. Beautiful sky. I can imagine myself walking along the patterned cobblestone street. From where you are standing, the combination of the row of homes, the street and the mounains are pretty.